For those of you who are tired of applique flowers, here is a pieced block. It is one of three pieced blocks. After a lot of thought and some research I came up with this funky little house. There are so many variations you can create with a house block, it’s endless. Happy stitching! 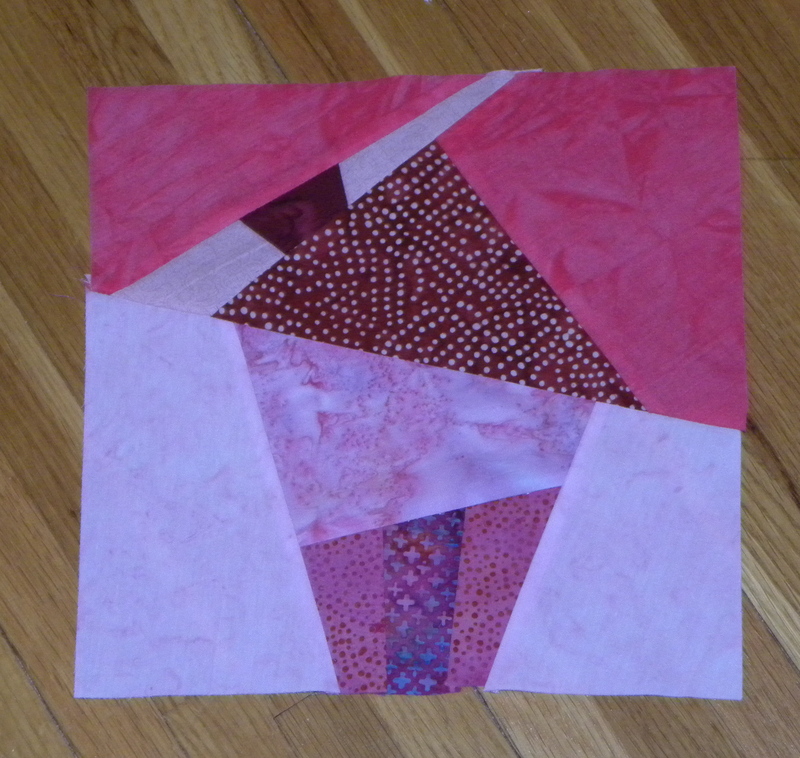 This entry was posted in Uncategorized and tagged BOM, pieced, pink by Karen. Bookmark the permalink.